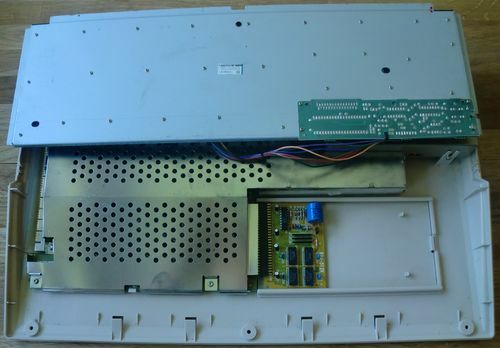 Some of you might have read my post called My Amiga 500: Back from the Shadows. If you haven’t, you can find it by clicking on this link. The article is basically about the fact that my Amiga 500 has lived in the shadows of my Amiga 1200 and not seen any use for a long time. I therefore got the idea to give this computer a nice make-over, which I believe it deserves. This make-over has now officially started and in this post you’ll get to see the first “before and after” photos of the machine. The machine doesn’t look too bad on the photos. I’ve kept it clean and it hasn’t been exposed to much sunlight either. I’ve therefore managed to avoid the dreaded yellowing of the plastic. Let’s open the lid and see what’s inside..
I’m ready to remove the floppy disk drive and install the brand new one I ordered from Vesalia (thanks guys!). For those of you who are interested, here’s a quick snapshot of the old drive. It doesn’t look nice at all. This one has loaded its last game of Badlands, that’s for sure. The disk drive is one of the most important things on the machine, as I can’t really do anything without it. I don’t have a hard drive for my Amiga 500 yet, so I’m stuck with floppies. 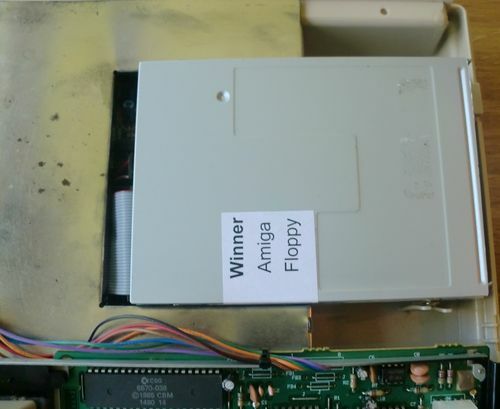 Fortunately I’ve got a hard drive for Amiga 1200. Now for a little surprise.. Remember that KCS PowerPC card I bought from Flip at AmiBay? Well, I popped that one in before the floppy disk drive.. 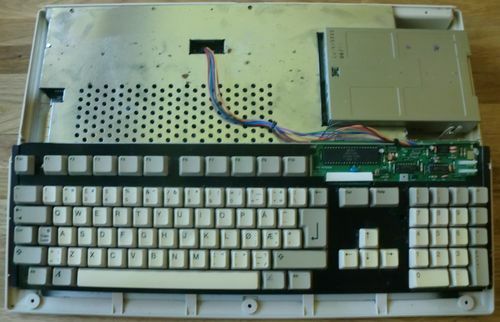 If the Amiga 500 could talk, I’m sure it would be satisfied with this make-over. 😉 Not only has it received a brand new drive, but also a nice retro emulation card. Want to see the machine after this little make-over? Here it is! 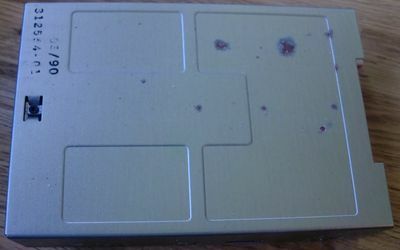 The make-over is not complete though, as I’ve got a Kickstart ROM switch waiting to be installed. 🙂 I’m also on the prowl for some cool add-ons for the machine. Part three will be coming up in he near future! Then we’ll also get to see it in action on my TV! Love it! 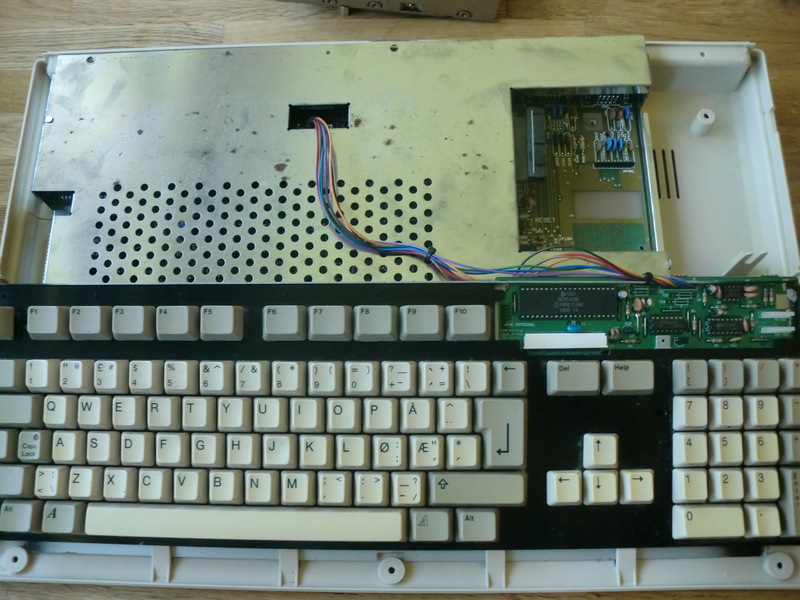 Nice to see someone who knows their stuff popping open the A500 – I’ve had to swap out a dead keyboard and clean out grime and dust before, and in another machine I discovered one of those 3-way kickstart ROM switches under the hood, along with 512k of expansion RAM in my machine. A Kickstart ROM Switch must be considered a big bonus. With such a device the machine will be compatible with original software, but it will also make it possible to enjoy the more modern versions of the OS. Best of both worlds! 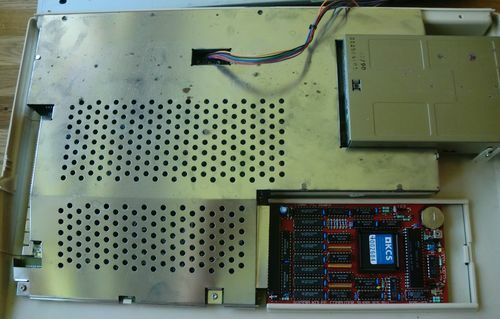 Nice pictures of your A500 you have there. 🙂 Cool that you’re bringing your A500 out of the shadows! Congratulations with a brand new floppy disk drive and 512k memory upgrade. 🙂 Looking good! Do you know which year the machine is produced? Kick1.3 and green power led, I suppose? Thanks for that! 🙂 Good to hear that you liked it. 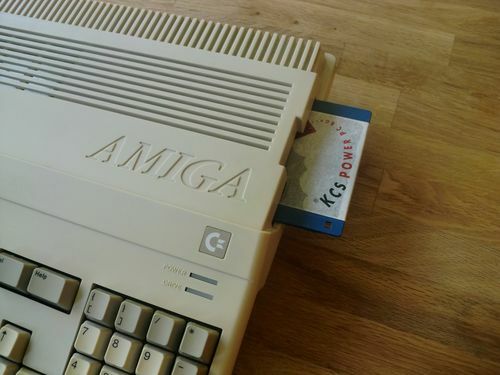 Are you still using your Amiga 500? OK. 🙂 My A500 is manufactured in West Germany too. Mine is a litte bit older than yours. It has the red power-LED and came with Kickstart 1.2. I later upgraded it to Kickstart 1.3 but I still have access to the old Kickstart via a switcher. 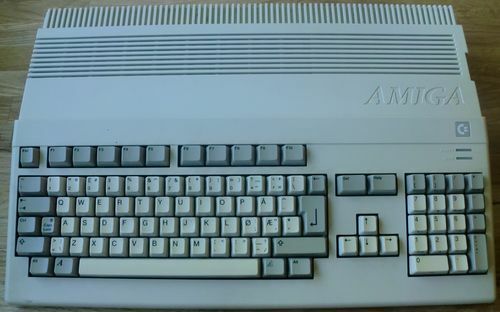 I bought my Amiga in Aug’88 along with a Commodore 1084 monitor (which unfortunately broke a couple of years ago). For this “package” I paid 9600 Norwegian kroner. Converted to today’s exchange rate this is equivalent to about 2000 EUR! … so when I think back to what we had to pay at the time, current Amiga equipment isn’t actually expensive in comparison. That is a LOT of money! It certainly puts things in perspective. It’s rougly the same price as the estimate for an AmigaOne X1000 and more than an AmigaOne 500. Interesting information. Thanks. Ah, the ol A500, such a wonderful machine but at £799 at release, was way out of league for a poor schoolboy. Two years later i’d turned 16, left school and by some stroke of luck had landed myself a junior position at IBM. I blew my first weeks wagt on a secondhand A500. Sadly i have the feeling that i was duped as it wasn’t long afterwards that it developed a fault (the keyboard would become unusable requiring a reboot to fix) – image not being able to press the relevant key to bring up the save menu after a few hours of intense gaming…very frustrating, yet still, was the best machine I’d ever used. I must say, yours is looking very nice. We’ve got quite a few at the museum and most range from a bit hint of yellow to…oh my! 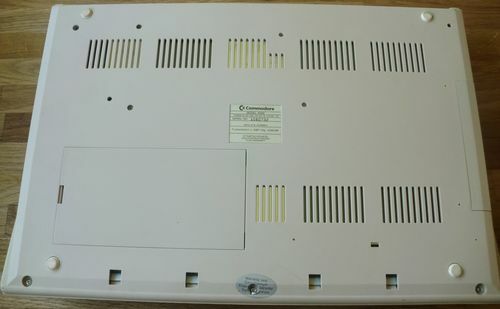 I’m planning a huge RetroBrite session in summer so i’ll soon have them ship shape.